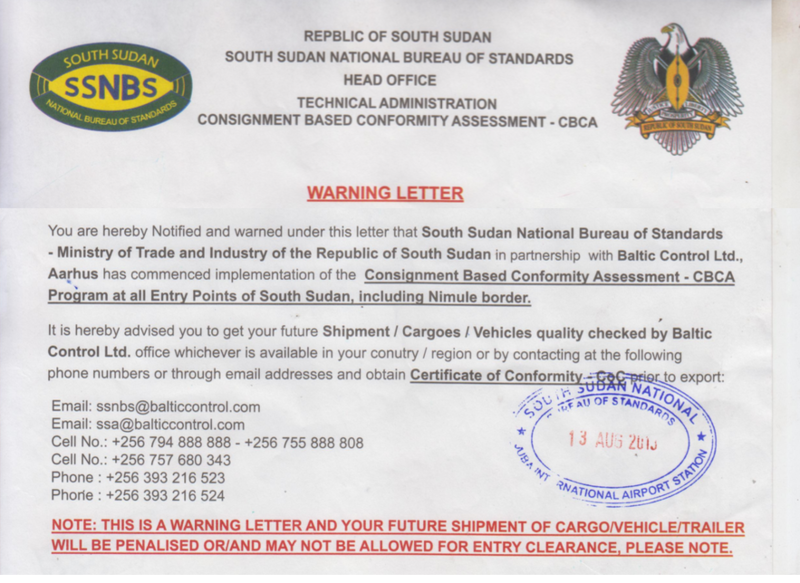 Customs authorities in the Republic of South Sudan now demand Certificates of Conformity (CoCs) for all vehicles imported into the country, including those for short term residents with work permits. In the event of there not being a Baltic Control branch in the exporting country, it is expected that a CoC from the vehicle manufacturer could be sufficient. This requires the local vehicle agent to request the CoC from the head office of the vehicle to be exported.